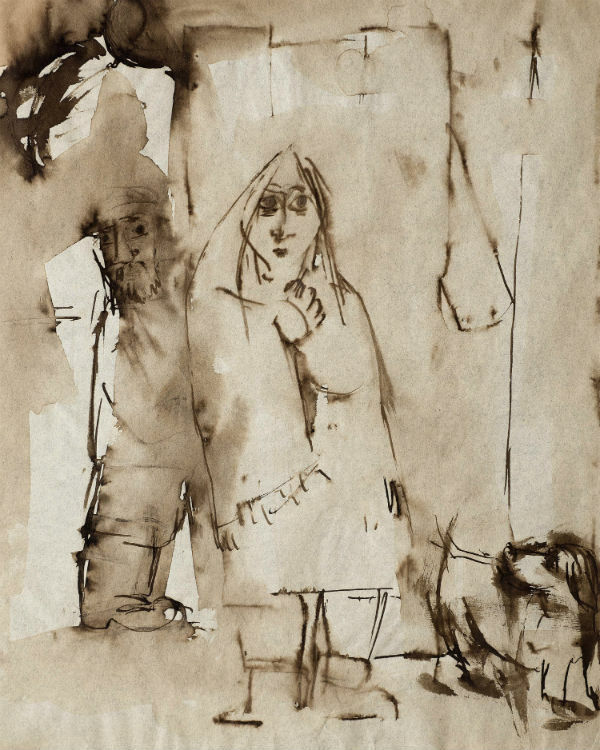 After his arrival in Glasgow in 1940, as an evocation of a lost Warsaw, Herman began a series of nostalgic drawings variously depicting family life, Jewish customs and the everyday street life of his native city including many depicting itinterant street musicians and singers of folk songs. 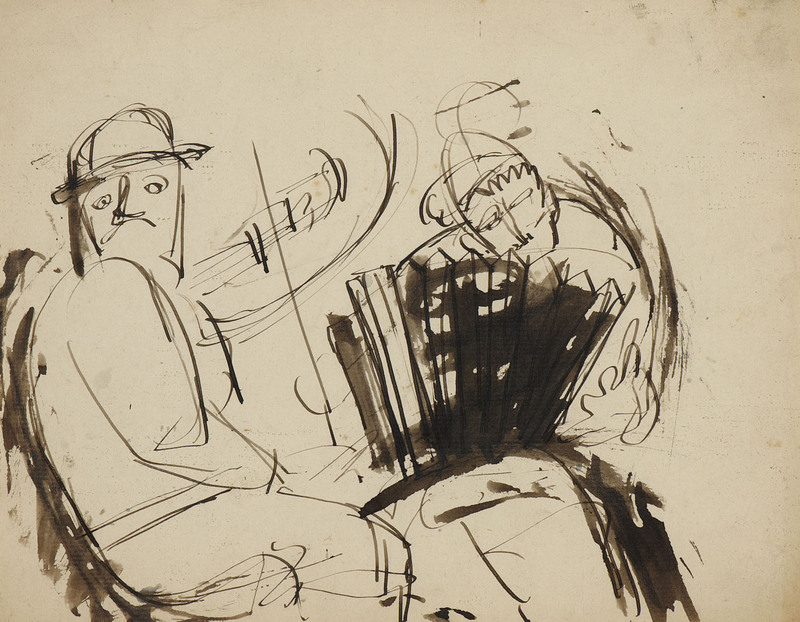 'Musicians', with its lively, freely-drawn style belongs to the early part of this series. This work was donated by the Jewish photographer Henny Handler, who photographed David Bomberg in his East End studio, c. 1912-14.